Our Experienced Surgeons and our state of the art surgical facilities allow us to perform an extensive range of Advanced & Routine Surgeries at our Hospital. 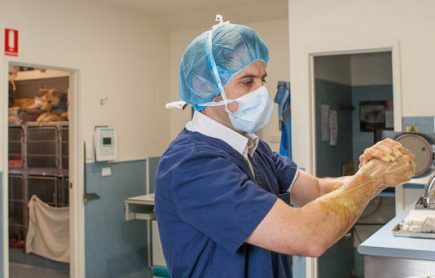 With many years of Surgical Experience and Membership with the Australian and New Zealand College of Veterinary Scientists Small Animal Medicine Chapter, Dr Karin Davids can perform many surgeries that otherwise may need to be referred to a Specialist. To see some case studies of Advanced Surgeries performed at our Hospital, click here. For more information on Cruciate Injuries in dogs, and on the procedures, we offer at the Waverley Animal Hospital, click here. 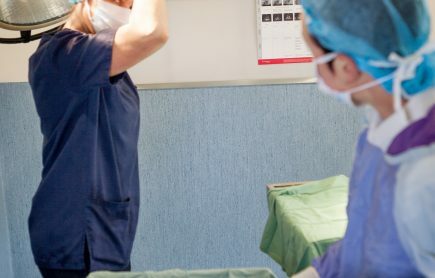 With our purpose built surgical facilities and our highly trained vets and nursing staff, you can be sure your pets will be getting the best possible care with surgery at the Waverley Animal Hospital. Our Experienced Surgeons perform desexing on pets young and old, big and small. From a 70kg Great Dane to a 1kg Rabbit; Dogs, Cats, Rabbits, and other pocket pets, we can care for them all! 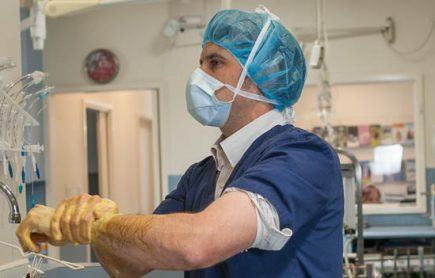 You can be sure pet will benefit from the best anesthetics and medication, including pain relief, that are available in the Veterinary industry. 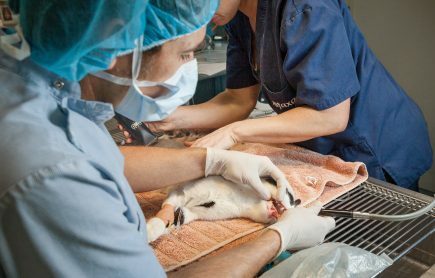 With our Dedicated Dental Base, we can perform Routine Dental care (the same as human dentists provide) to clean away built-up tartar from your pet’s teeth, right up to caring for pets with the advanced dental disease, requiring removal of painful or damaged teeth.